On the other hand, in order to promote Hong Kong fashion design, another AR function had been added as a AR photobooth. 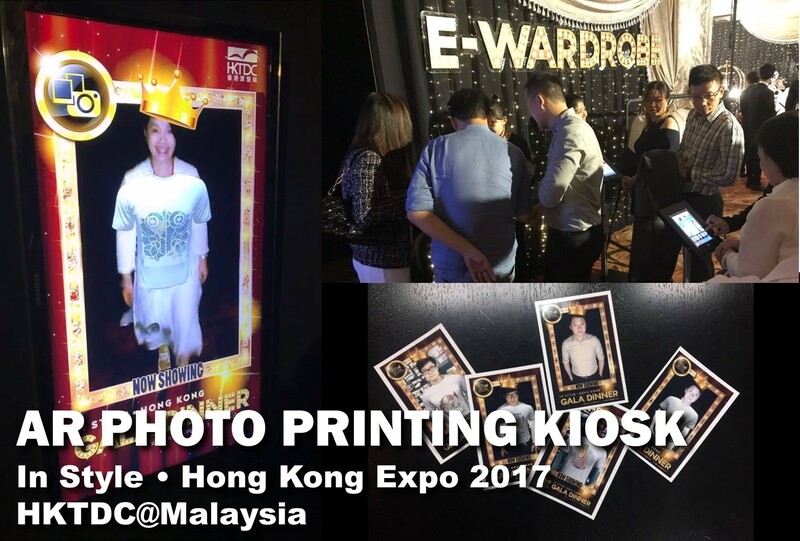 Visitors can design their own fashion and dressing, the AR function of the photobooth will fully map the designed clothes to the image of the visitor. After that, the physical photo copy will be printed out for visitors as gift. • In Style • Hong Kong 「時尚潮流 • 魅力香港」 is a large-scale signature promotion campaign organised by the Hong Kong Trade Development Council (HKTDC) with an aim to highlight Hong Kong’s vibrant and unique lifestyle and creativity. • It showcases Hong Kong’s products and services which together have established Hong Kong as a leading trendsetting city in the region. • After the successful launch in Jakarta, Indonesia and Bangkok, Thailand, the HKTDC will host the 3rd edition of In Style • Hong Kong in Kuala Lumpur, Malaysia. • This two-day B2B trade exposition will showcase a wide array of quality branded and designer-led lifestyle products from Hong Kong companies with anticipation in tapping into new business opportunities from Malaysia and nearby countries.